The Chennai Super Kings have been going great in this tournament so far in spite of regularly losing players like Ngidi, Willey, and Bravo. In the absence of all these players, Deepak Chahar has been leading the attack bowling in the powerplays and has always provided great starts for the team with the ball. This has not been the trend just for this year, but he has been performing very well since last year. 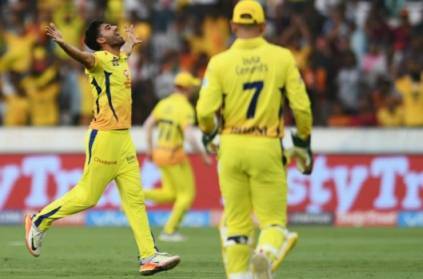 Looking at his numbers since IPL2018, Deepak Chahar has taken the most number of wickets in the powerplays picking up 17 wickets in 301 deliveries at an impressive economy rate of 6.71. He is going to be an important member of this team considering all the loses and Dhoni has looked upto Chahar as his go to man. Hope he will continue this good run throughout this tournament. This page contains news relating to various facts and events. The views are generally about current affiars and general topics in diversified areas such as political, international, national, and regional issues, sports, health, travel, lifestyle, technology and business. People having similar interets on the above topics will find this page useful. Deepak Chahar has taken the most number of wickets in PP since 2018 | Sports News.